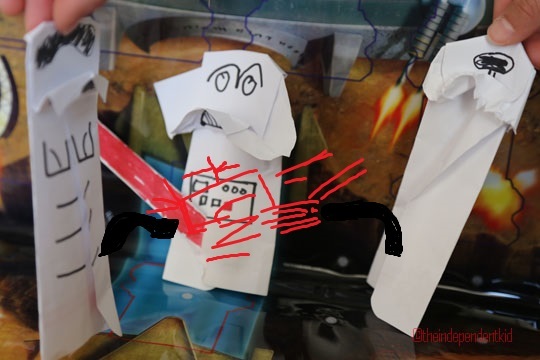 Suddenly, Darth Paper was besieged by Fold Troopers! 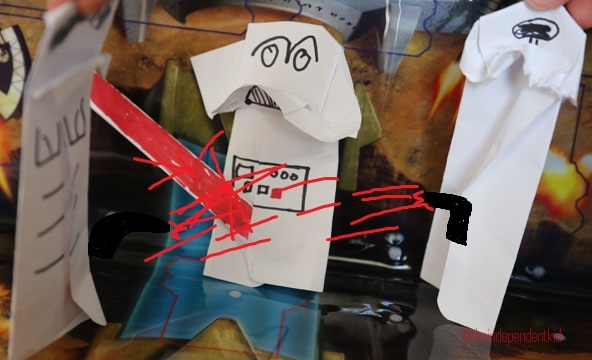 The Fold Troopers started shooting at Darth Paper! 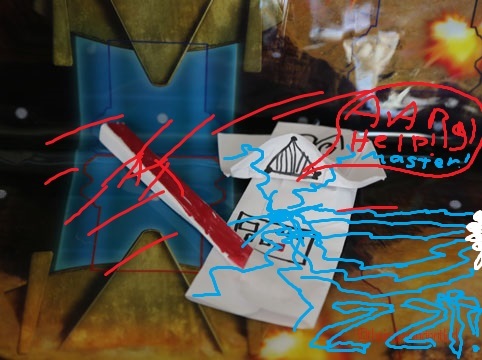 And then, the whole Rebel Army joined in. 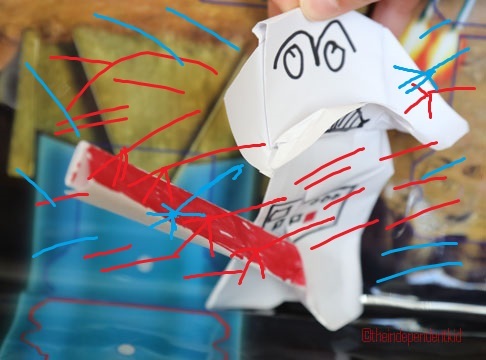 In the end, Emperor Evil Wad zapped Darth Paper with lightning.